Singaporean teenager Amos Yee will be giving his first ever public talk at the Harvard University campus in Cambridge, Massachusetts next week. 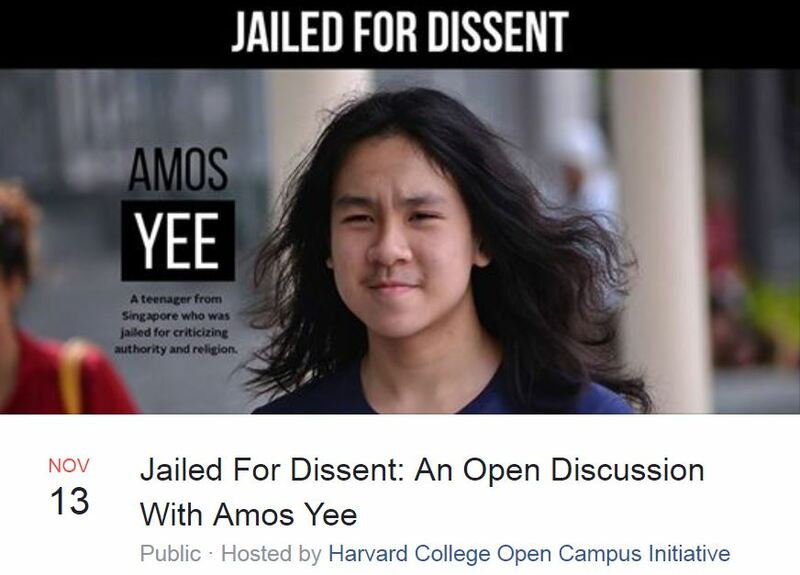 Entitled ‘Jailed for Dissent: An Open Conversation with Amos Yee’ the event is to be held on Monday, 13 Nov. It will be free and open to the public. 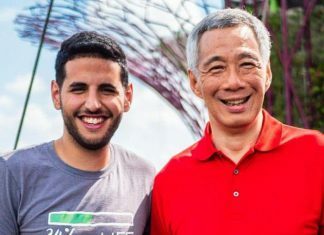 “Yee first came to international attention in 2015 when he was sentenced to jail in Singapore after releasing videos that were critical of the country’s late prime minister, Lee Kuan Yew. Only 19 years old, he self-identifies as an anarcho-communist. Announcing the talk on his YouTube channel, Yee indicated that Harvard representatives will pay for his travel and accommodation expenses during his trip.